338 Goswell Road is a striking former tobacco warehouse offering 3 self contained duplex suites in Angel. The stripped back industrial style offices offer high ceilings with large windows, exposed concrete soffits, sandblasted brickwork and fully accessible raised floors as well as being fully cabled for power and IT. The reception area of the building has been beautifully designed and installed with 2x 10 person passenger lifts to take you between floors. A dedicated entrance and shower facilities will also be available for employees arriving on bike. 338 Goswell Road is located just a 4 minutes walk from Angel Underground Station with Angel offering independent shops, bars and restaurants on and around Upper Street. 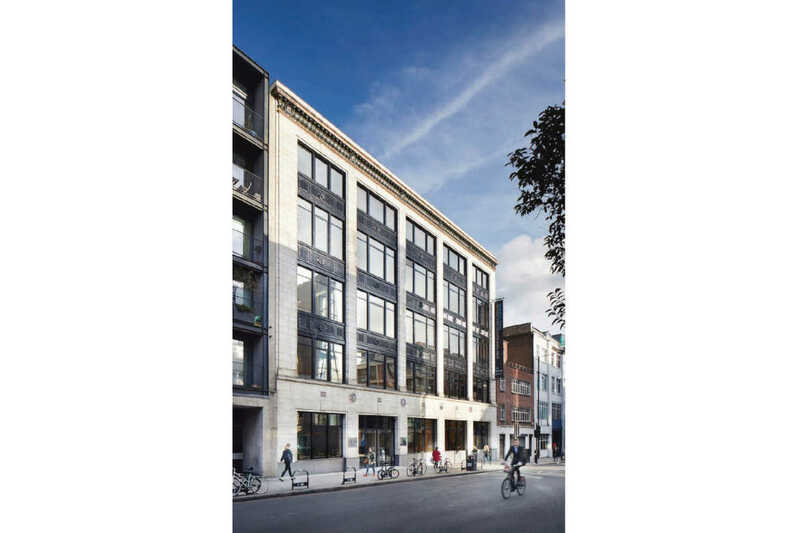 Clerkenwell, Exmouth Market, Shoreditch and Kings Cross are also within easy reach of the building. For more information, please call Anton Page on 020 7336 1313.